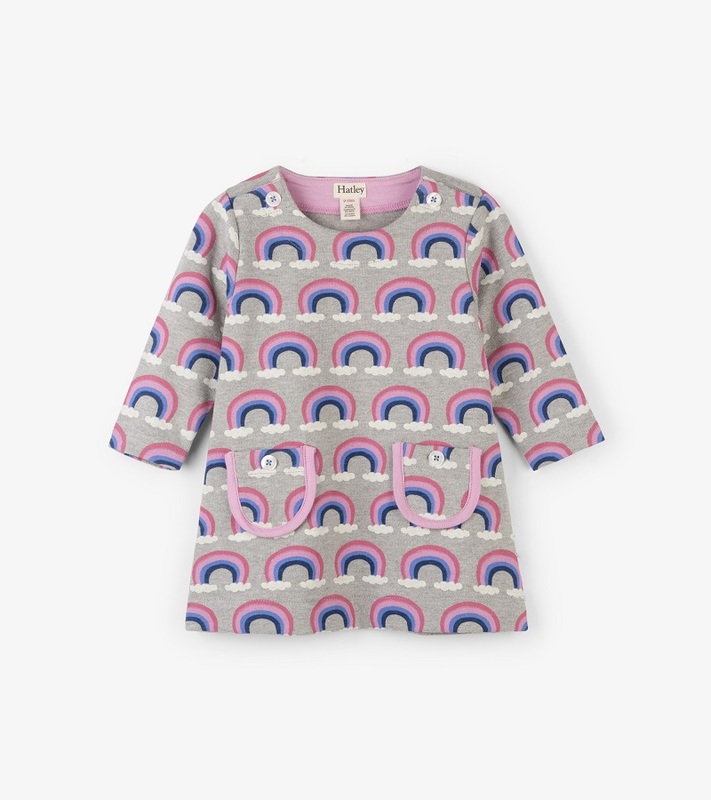 This darling rainbow dress is perfect for the cooler days of fall. Cute pockets adorn the front and buttons at the neck make for easy on and off. Pair with our solid light pink leggings or Metallic Heart Leggings for a complete outfit. Made of 93% cotton/7% polyester; machine wash cold and tumble dry low by Hatley.